For Catholics, the Sacrament of Matrimony is a sacred covenant between a man and a woman, initiated by God, and designed to be a primary place where God’s love is seen and experienced. Human love is meant to be self-giving as the love that Jesus has for everyone. Congratulations on your recent engagement! Holy Trinity Parish celebrates that God has brought you and your fiancé to each other. At this time of preparation, we pray, that it will be a time of honesty, truth, encouragement, discernment and joy for you and your families. Engaged couples wishing to be married at Holy Trinity Parish must contact the Pastor at least 6-12 months before an anticipated wedding date by calling the Parish Office at (330) 385-7131. Holy Matrimony is a grace-filled encounter with God and the couple that brings them to a deeper holiness. As such, preparing for marriage is about more than planning the wedding, and Saint Aloysius Church at Holy Trinity Parish is more than just a pretty building. All of these ingredients are built into our marriage preparation program at Holy Trinity Parish. Our prayer is that this preparation helps our couples to be a light and an example to the world by living out the Sacrament of Matrimony throughout their lives together. Do I have to be a parishioner at Holy Trinity Parish in order to get married at Saint Aloysius Church? If you are not a registered member of HTP, the Catholic party requesting marriage must contact the pastor of the parish where he or she is registered, worships and actively participates in the life of that parish to communicate his or her desire to marry outside of the parish boundaries. The entire marriage preparation ought to take place in ones’ home parish and once concluded the pastor will issue a written permission to the pastor of HTP to witness the marriage of the two parties that are not his subject. Note: Each Catholic parish in the world has its boundaries and therefore its jurisdiction. The pastor of each parish is responsible for all the people living within the boundaries of his parish. He may not witness the Sacrament of Marriage of those who belong to another parish without a written delegation of the proper pastor. In some cases a dispensation by the Ordinary is required. 1. 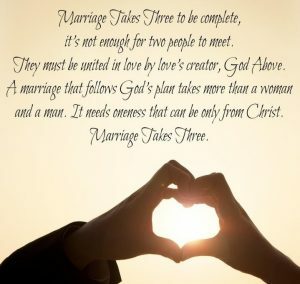 A Catholic party requesting marriage should be registered, actively participating in Sunday Mass, and living out the stewardship of time, talent, and treasure. 2. It is not enough that at some point that individual was baptized and/or received other sacraments or perhaps even attended our former Saint Aloysius School. The life of a Christian is an ongoing journey. If someone, for whatever reason, has not been living a life of Jesus’ discipleship, it is essential that before one may enter a sacramental union, he or she takes time to pray, study and discern the Christian vocation to marriage. 3. One has to be free to marry. There may not be any known impediments that prevent one or both parties to enter into marriage. Such as: previous valid marriage, fear, coercion, manipulation, etc. 4. The wedding date may be publicly announced after an initial inquiry is conducted by the Pastor of Holy Trinity Parish. Did you know that the United States Conference of Catholic Bishops has a website called For Your Marriage? click here This site includes information on what the Catholic Church teaches about marriage, daily tips for your marriage, a parenting and family section, a dating and engaged section, and does answer many questions about Catholics and divorce. Often individuals are not fully participating in the life of the Church because of divorce and remarriage. Anyone who is divorced and would like to learn more about the annulment process can contact the Pastor at the Parish Office (330) 385-7131. If a marriage is annulled, are the children considered illegitimate? No. A declaration of nullity has no effect on the legitimacy of children, since the child’s mother and father were presumed to be married at the time that the child was born. Legitimacy depends on civil law. May a divorced Catholic receive Holy Communion? Yes. Divorced Catholics in good standing with the church, who have not remarried or who have remarried following an annulment, may receive the sacraments. How much does the Tribunal (Annulment process) cost? The Catholic Diocese of Youngstown does not have an investigation fee. Click here for the Canonical Services/Tribunal webpage for the Catholic Diocese of Youngstown. A divorced non-Catholic, in order to seek marriage with a Catholic in the Catholic Church, must be considered free to marry. This requires that the whole of his or her life and marital history be brought into harmony with the teaching of the Catholic faith to which the Catholic intended spouse adheres. Hence, if the non-Catholic has previously been married, that first martial bond must be proven null before he or she can be considered free to marry anew.